Registered nurse certification in District of Columbia validates the qualifications of nurses for practicing in a particular clinical or functional area of nursing. Certification credentials are recognized nationally. RN licensure enhances your marketability. The license is issued by the Department of Health. The main objective of this department is to promote safety, well-being, and quality of life of citizens of the state. Provide U.S. Social Security Number (SSN). If, at present, you do not have a SSN, then submit the “Affidavit in Support of Application for District of Columbia Licensure” attached to the application. Attach 2 identical and recent passport-type photos (of approx 2”X2”) with your name printed on the backside. The photos should be original and should not be paper or computer-generated copies. In case of name change, submit copy of acceptable documents which includes divorce decree, marriage certificates, court orders or spouse’s death certificate. Submit an official transcript signifying the date of graduation or the date when the degree was conferred. These transcripts must be sealed from the applicant’s school of nursing, and can be send directly from the applicant’s nursing school. But, it is preferred that the transcripts must be received along with the application in a sealed envelope. If official transcript has not been provided by your nursing school, you may also provide a letter of recommendation from the Nurse Administrator of your nursing program, school or college. This letter should be accompanied with the application in a sealed envelope. Some requirements (I to V) are same as mentioned above. NURSYS verification: Complete verification of licensure online at www.nursys.comKeep in mind to choose DC as the jurisdiction that will receive the verification. Affix a photocopy of this Nursys receipt to the endorsement application. Verification by mail: Submit the verification sent to you by the verifying Board of Nursing along with your endorsement application in a sealed application. Completion of either IELTS or TOEFL iBT. Step 6: As soon as all your necessary papers are accepted, the Board will update the Pearson VUE, making you eligible to take the licensure exam. Step 7: Pearson VUE will send you an ATT (Authorization to Test) on the mailing address or email id mentioned by you in the application. Step 8: Upon getting the ATT, contact Pearson VUE, and schedule the test. Step 9: You will receive the results of the test from the Board in approximately four weeks after taking the exam. Step 10: Upon final approval of the documents, a license to start nursing practice in the District of Columbia will be issued by the Board. After filling the essential information, submit the application with the required fee of $230 to the Board office address (mentioned in step 7 of procedure to obtain RN license by examination). Submit an official transcript from your nursing school which must indicate the date of graduation and the date when the degree was conferred. 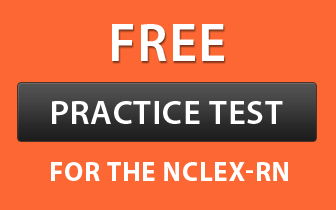 Re-register with Pearson VUE, in order to retake the licensure exam NCLEX-RN and pay the application fee of $200. Complete any recognized nursing education program less than 3 years ago. If you are not eligible for this requirement, you must complete a supplementary nursing education program leading to a degree as a registered nurse. If you have not received any verification form, then submit a short note requesting for a verification form with the requisite fee of $34. Name and address of the state where you want the letter of verification to be sent. All registered nurses who are practicing in the District of Columbia are required to renew their license every even numbered year. The license generally expires on June 30th. Applicants must complete 24 contact hours of continuing education in their current area of practice in the specified time period of 2 years.